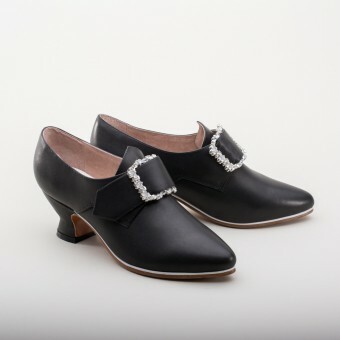 Fraser 18th Century Shoes capture the romance and history of the early 18th century perfectly. Whether you are inspired to cosplay, creating a French and Indian War impression, or portraying a revolutionary, the Fraser 18th Century Shoes are an excellent choice for your ensemble. 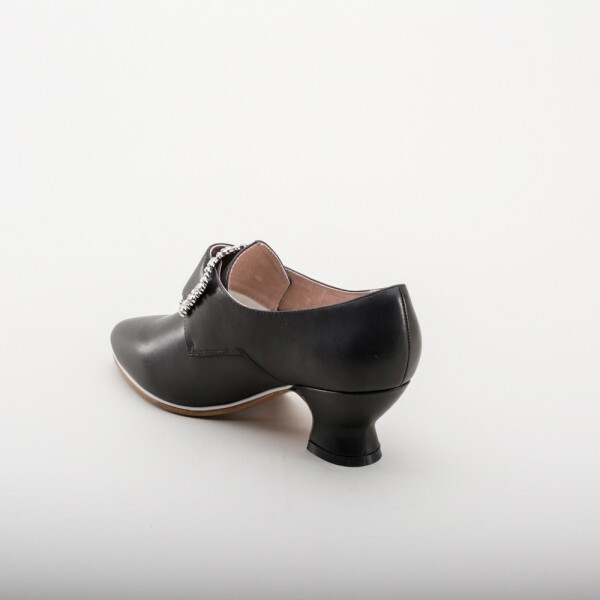 Made of real leather, lined in leather, and soled in leather, the Fraser 18th Century Shoes feature a real latchet closure, dog-leg seam, white rand, and Louis heel, all hallmarks of footwear c. 1700 - 1760. Hand-crafted by artisanal shoe makers, the Frasers will keep you comfortably on your feet through long event days. 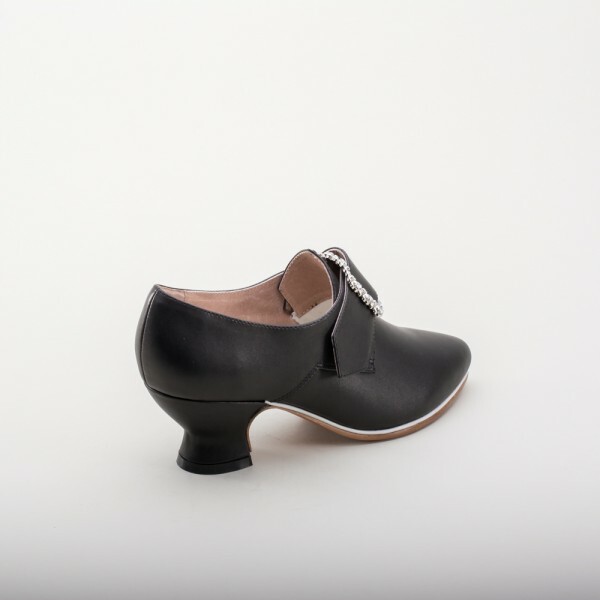 Fraser 18th Century Shoes do not come with buckles, but they qualify for a discount when bought together. You can find our 18th century shoe buckles in the Accessories section. Please read our buckle fitting instruction or watch our shoe buckle fitting video for more information. Assembly With pride by our team of skilled shoe masters in our dedicated (and ethical) production facility in Houjie, China. 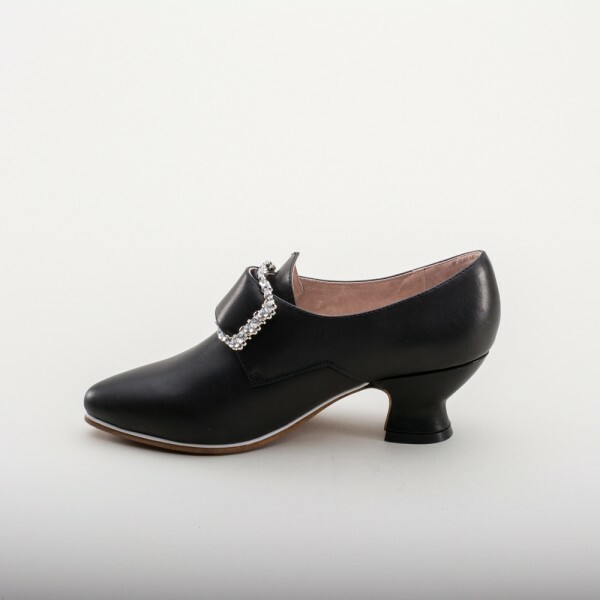 "Fraser" 18th Century Leather Shoes (Black)(1700-1760) has an average rating of 5/5 from 8 reviews.